Import tax from China to USA is one of the most common issues that many new importers come up against when outsourcing products or product components. After sealing a winning deal with a supplier in China, sorting out your US import tax from China could go down as the most draining part in the whole import process. Ideally, it is imperative to get your head around import tax from China to USA first. However, understanding US import tax from China is only a piece of the entire puzzle. 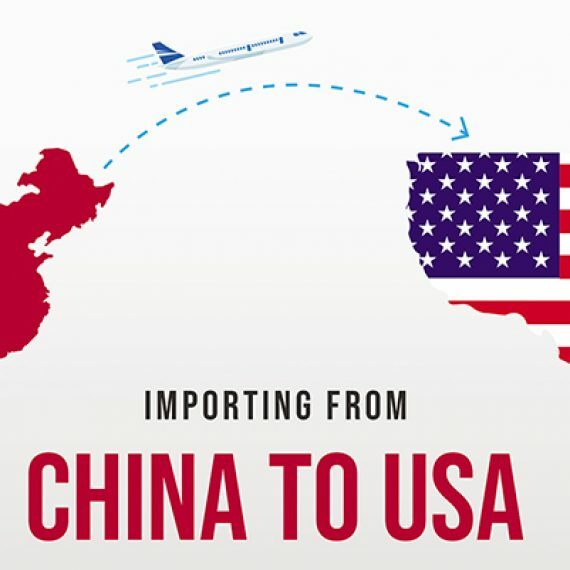 Importing from China to USA brings forth a broader spectrum of questions and dilemmas that may sprout up along the way, and that usually includes customs duties, customs clearance, customs bonds, customs broker, penalties, and import tax from China to USA, among many others. Learning them all at once from different sources could be overwhelming and difficult—that’s because it really is. Do I need to pay US import tax from China? Who should pay for the logistics of my imports? How much should I be paying for import tax from China to USA? What documents do I need to get customs clearance? How do I calculate my import tax from China to USA? How do I find the customs duty rate for my product? What are the import duties from China to USA do I have to pay? If you are asking many of these questions, you are in the right place. Although, these are just some of the questions we will tackle right on this page. Before we dive right into the import process, customs clearance, customs duty rates, user fees, and import tax from China to USA, let us take a look at shipping Incoterms first. Incoterms (International Commercial Terms) are a set of three-letter codes created by the International Chamber of Commerce (ICC) used as the standards of international shipping when it comes to shipping from China to US. Incoterms clearly delineates the responsibilities of sellers and buyers in regards to the shipment of the goods, in this case, from China to the United States. So why do you need to study Incoterms as an importer before anything else? The answer is pretty simple. Incoterms define the role of the buyer and the seller in the whole import/export process—who covers the transportation, who arranges the customs clearance, who pays for the insurances, permissions, licenses, or fees, who pays US import tax from China, etc. Without a basic knowledge of Incoterms, your chances of paying a fortune for your shipments are fairly high. Hence, the golden rule should be to know which Incoterm suit you well before cutting a deal with a seller in China. The buyer takes care of the loading of the goods from the seller’s factory in China all the way to the buyer’s address in the United States. This includes all fees, import tax from China to USA, export and import customs clearances, insurances, and import duties from China to USA. 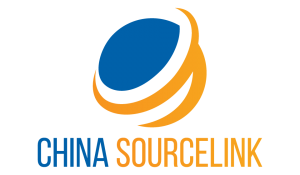 The seller covers the loading and transportation of the goods from the factory to the port of export in China. The buyer is responsible for the unloading of the goods at the port of export in China all the way to the United States. The seller takes care of the customs declaration, while the buyer takes care of the customs clearance, US import tax from China, and import duties from China to USA. 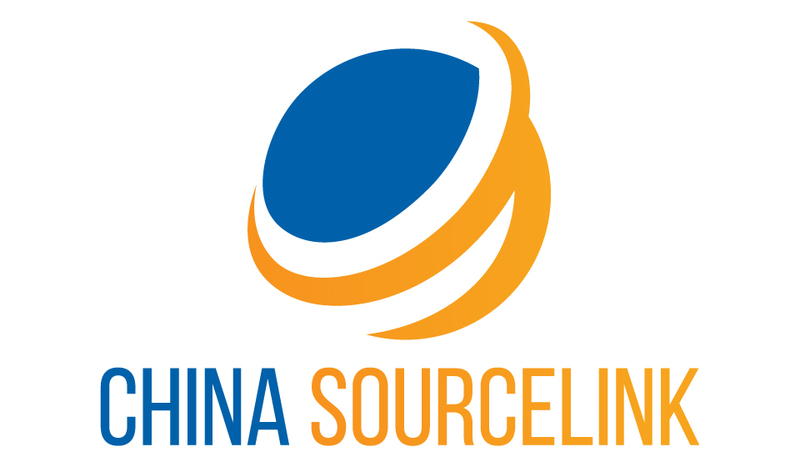 The seller covers the loading and transportation of the goods from the factory to the port of export in China. The buyer covers the loading and transportation of the goods at the port of export all the way to the United States. The seller takes care of the customs declaration, while the buyer takes care of the customs clearance, US import tax from China, and import duties from China to USA. The seller carries out the loading and transportation of the goods from the factory to the port of export in China. The buyer covers the transportation of the goods at the port of export in China all the way to the United States. The seller takes care of the customs declaration and loading charges at the port of export in China, while the buyer takes care of the customs clearance, US import tax from China, and import duties from China to USA. The seller is responsible for the loading and transportation of the goods from the factory all the way to the port of import in the United States. The seller takes care of the customs declaration, while the buyer takes care of the customs clearance, US import tax from China, and import duties from China to USA. The seller covers the loading and transportation of the goods from the factory to the port of import in the United States. The buyer shoulders the unloading of the goods at the port of import. The seller takes care of the customs declaration and insurance, while the buyer pays for the customs clearance, US import tax from China, and import duties from China to USA. The seller is responsible for the loading of the goods from the factory all the way to the unloading of goods at the port of import in the United States. The seller takes care of the customs declaration, while the buyer shoulders the customs clearance, US import tax from China, and import duties from China to USA. The seller carries out the loading of the goods from the factory up to delivery to the agreed upon place in the United States. The seller takes care of the customs declaration, while the buyer takes care of the customs clearance, US import tax from China, and import duties from China to USA. The seller covers the loading of the goods from the factory up to delivery to the agreed upon place in the United States. The seller takes care of the customs declaration, while the buyer takes care of the customs clearance, US import tax from China, and import duties from China to USA. The seller is responsible for the loading of the goods from the factory up to delivery to the agreed upon place in the United States. The seller takes care of the customs declaration and insurance, while the buyer takes care of the customs clearance, US import tax from China, and import duties from China to USA. The seller is responsible for the loading and transportation of the goods from the factory in China all the way to the agreed upon place in the United States. The seller pays for the customs clearance, US import tax from China, and import duties from China to USA. Whether it involves big- or small-scale shipments, all import process from China to USA undergoes a rigid customs clearance like any others before they get to an importer’s warehouse. But not all importers understand what exactly goes down in this crucial part of the process. To be fair, getting a customs clearance for your goods from China to the United States can be quite a tricky task, especially for new importers. If you want to avoid all the dirty work, you can hire a licensed customs broker or make arrangements with a freight forward to do the taxing activities involved throughout the import process. You will learn more about what a reliable customs broker can do for you later. This section walks you through the ropes of the import process from China to USA, what documents you will need to obtain a customs clearance, and generally how to deal with the U.S. Customs and Border Protection (CBP) authorities. Once there is already an Arrival Notice for your goods, you or your appointed customs broker should have the documents necessary for customs clearance prepared five days before the estimated time of arrival (ETA). Refer to the next section for the required documents for customs clearance. Without these documents, your goods cannot wind up at the port of entry or at the inland station in the United States. These documents allow CBP to check your goods even if your shipment has not arrived yet. This is called pre-declaration (pre-clear). However, CBP will still personally check the goods once they arrive and only then that results will be released. CBP usually gives customs clearance your goods within 48 hours for sea freight and 24 hours for air cargo. There are two ways to declare your imports—through online declaration or physical documents review. Your appointed customs broker inputs all the necessary information of the goods into the U.S. Customs ABI, including value, classification, number of pieces, bill of lading, and container number. Your customs broker also picks up terminal information and forward it to CBP. You, as the importer, will get a notice from ABI once the goods clear customs. ABI declaration is done online, which makes it the more convenient method. Usually, you get notified by the results of your customs clearance within 48 hours, whether or not it needs further inspection. This is where your appointed customs broker sends the original or copy of all your the necessary documents to the customs for review. Normally, it takes up to three days before you get results of your customs clearance. Some products, including precision electronics, textiles, and food items, are required to go through a physical document review. CBP requires the original visa and import duties from China to USA for products with quotas. Part of the import process is the submission of two important customs documents that you or your appointed customs broker need to fulfill before and after your goods arrive. The Customs Entry form (CBP Form 7501) is a detailed and comprehensive document used to file entry for the goods with the port of entry director. This form goes with your calculated import duties from China to USA. It is not final until the cargo has arrived at the port of entry. If the port of director decides to further check the cargo or subject it to be checked by another federal agency before releasing, the importer or the appointed customs broker has to arrange it. The Customs Release form (CBP Form 3461) is the electronic or printed document you initially signed to CBP. 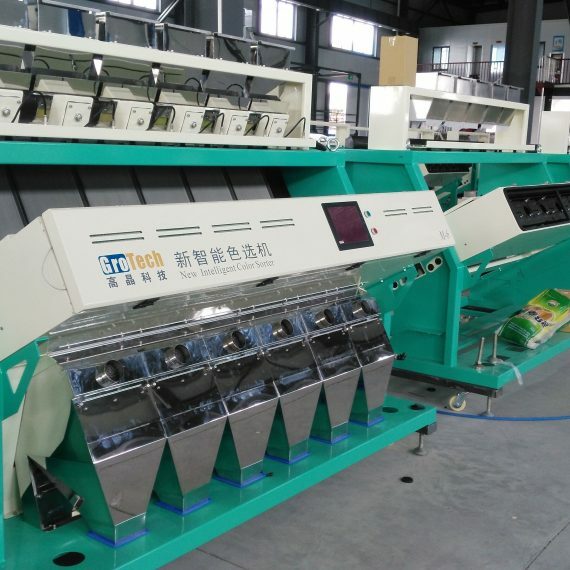 This form is used to speed up the release of your goods. Apart from the customs documents, more documents are needed to secure a customs clearance for your imports. Without these, importers will not be able to get their hands on their goods, or the goods cannot arrive at the port of entry or at the inland station. Depending on the Incoterm the buyer and seller agree on, required documents may vary. Say you and your seller agree on Free on Board, your sole responsibility as an importer in the United States is to fulfill the documents required by CBP and pay the import tax from China to USA. So what are these documents? Bill of Lading is a document released by a carrier to the shipper, signed by the owner of the vessel or the captain or agent who issues written documentation regarding the receipt of goods. It ensures your goods will be delivered at the right port of entry in the United States. There are three common B/L documents: inland, ocean, and air waybill. You will most likely deal with ocean and air waybill. Ocean B/L serves goods transported via ocean and as a contract of carriage and a document of title for a cargo. It could be a straight bill of lading or a negotiable bill of lading. A straight bill of lading has a specific consignee and cannot be negotiated. The consignee can claim the goods by presenting a signed, original bill of lading to the carrier. A negotiable bill of lading is consigned “to order” or “to order of shipper” and is signed by the shipper and sent to a bank in the U.S. The bank keeps the original bill of lading until a letter of credit or a documentary collection is fulfilled. Packing List is issued by the freight forwarder or shipper. It contains information from your commercial invoice, which will be used by customs authorities to verify your shipment and to determine how much import tax from China to USA are you going to pay. The packing list always goes together with the commercial invoice and are forwarded to the importer by the supplier via email. Depending on the type of imported products, CBP might require you to submit permits from other federal agencies. Different agencies oversee different types of imported goods. You, as an importer in the United States, must make sure you meet all federal requirements for your goods to clear other agencies. And what this usually means is getting a permit. Alcohol and Tobacco Trade and Tax Bureau (TTB) issues the Federal Basic Permit, Certification of Label Approval, Natural Wine Certificate, and Certification of Age and Origin for alcohol and tobacco products. Consumer Product Safety Commission (CPSC) oversees toys and children’s products. Department of Transportation (DOT) oversees automobile and motor vehicles. Environmental Protection Agency (EPA) regulates the import of chemicals. Food and Drug Administration (FDA) oversees the import of all food, cosmetics, medication, health devices, some housewares and food-related goods, and more. U.S. Department of Agriculture (USDA) regulates the import of plants, plant-products, wood, animals, etc. Federal Trade Commission (FTC) oversees various parts of the import process like product labeling. In some cases, depending on the kinds of goods shipped, you might be required to show other documents such as a certificate of origin, product licenses, product certification, etc. More often than not, a customs bond is a requisite when importing from China. Per CBP mandate, all importers must use a customs bond if their shipment is valued at more than $2,500. In other cases, a customs bond is required if imports are subject to another federal agency’s oversight. A customs bond serves as an assurance that import tax from China to USA is paid by the importer for goods transported either by air or sea. You have two options to obtain a customs bond. First, if you want to handle your own goods from China, you may get a customs bond through a surety company licensed by the U.S. Department of the Treasury. When buying a customs bond on your own, note that you are buying an insurance policy for the customs duties and import tax from China to USA. The customs bond has to be purchased before the shipment leaves the Port of Loading (in Shenzhen or Hong Kong). Note that buying a customs bond requires you to submit your tax ID and sign a power of attorney. Second, if you work with a licensed customs broker, you might be able to use the customs broker’s bond to cover your transactions, including your import tax from China to USA. This is often part of the customs broker’s service. You will learn more about getting a customs broker in the next section. Customs bonds have two types: Single-Entry Bond and Continuous Bond. These customs bonds have something to do with the frequency of your imports from China to the United States. Let’s dig deeper into single-entry bond and continuous bond below. A single-entry customs bond covers one-off shipments of imported goods from China to the United States. Getting a single-entry customs bond can be a little trickier than getting a continuous customs bond. The minimum amount of single-entry customs bond an importer is allowed to purchase should at least be the same as the value of the goods, on top of the taxes, user fees, and import duties from China to USA. If you do not plan to import more than 10 times a year, a single-entry custom bond might suit your needs. In case the goods are subject for checking by another federal agency, the single-entry customs bond should at least be three times the value of the goods. For instance, you imported electronic items with a total value of $5,000. Since electronic goods are subject to an oversight by the Federal Communications Commission (FCC), you are required to purchase a single-entry customs bond worth at least $15,000. In addition, you need to have a supplementary bond coverage to meet the Importer Security Filing (ISF) requirements of customs for imports from China by sea. A continuous customs bond, also known as annual bond, covers all of your shipments for a one-year period. If you are planning to import goods in multiple shipments, it is wiser to get a continuous customs bond to save you a lot of money. A continuous customs bond also covers the ISF requirements you might be subject to, so this spares you from getting an additional bond. A continuous customs bond that covers imports collectively worth $50,000 typically costs around $450. You can also purchase bigger continuous customs bond. Customs bond is not always necessary for all shipments. Depending on which type of entry, you might be able to get away with no customs bond at all. Informal entries involve the importation of goods valued less than $2,500; these goods can either be for personal or commercial use. They do not need to be cleared by a customs bond and are liquidated on the spot, at the date of release. The customs officer determines the HTSUS classification of the goods and completes all customs forms. Under informal entries is the so-called Section 321, a de minimis shipment value entry that allows the release of goods worth $800 or less. Goods released under Section 321 are duty- and tax-free. This does not require a customs bond. However, the shipment should be intended for one private importer only. Note that not all types of products can qualify under Section 321. Conditions may include goods needing inspection as a conditional release, products regulated by other federal agencies, and merchandise subject to Anti-Dumping and Countervailing Duties (AD/CVD). Sample products are cosmetics, dinnerware, food, biological samples for laboratory testing, and radiation-emitting non-medical devices. Formal entries involve the importation of goods over $2,500; these goods are for commercial selling purposes (for example, reselling of goods on Amazon.com or other e-commerce platforms). They require a customs bond (CBP Form 31) alongside an entry summary, bill of lading, and commercial invoice or bill of sale. The importer or an appointed customs broker provides the HTSUS classifications of the goods and files all customs forms. Customs authorities are extremely strict and unforgiving, which makes sense considering that they are in a way responsible to keep their country safe, protect their local economy, and make a fair profit in international trade. That being said, importers do not tolerate even single minor slip-ups in regards to paperwork. By hiring a licensed customs broker—either directly or through a freight forwarder or logistics company—you are freeing yourself from the delicate process involving CBP. Note, however, that whatever fee and import tax from China to USA your goods will be subject to, the customs broker will pass it on to you. Customs brokers file entries and submit import documents to the CBP on your behalf. A customs broker is a great asset who makes your importing from China to the United States a breeze. Customs brokers can handle your customs clearance efficiently; they make sure your import process follows all customs regulations; customs brokers calculate the right import duties from China to USA; customs brokers make sure your shipment arrives in the United States in a timely manner; customs brokers ensure that you are paying the right US import tax from China. Now it is time to get down to the nitty-gritty of this article—import tax from China to USA, user fees, and fines and penalties. You, as an importer, is solely responsible for paying any US import tax from China and customs duties for your goods. Most new importers commit a common mistake by asking a supplier in China about what import tax from China to USA or import duties from China to USA do they have to take care of in the United States. This is a mistake. More often than not, Chinese suppliers do not have a considerable amount of knowledge about US import tax from China as well as CBP regulations and import duties from China to USA. Customs duties, also known as customs tax or customs entry fee, are charged on all imports and exports of goods in international trade. Import duties from China to USA are not mandatory for all importers. Shipments with a de minimis value of under $800 are duty-free and therefore are not subject to any import duties from China to USA or import tax from China to USA. But this is not always the case as some products, like alcohol and tobacco, are still going to be charged with other fees and import tax from China to USA, even if the declared value of the shipment is under $800. With the recent trade announcements of the United States, you might be wondering now what import duties from China to USA should you be paying for your goods. Since July 2018, the United States has started to impose a 25 percent tariff on over 800 Chinese products, and over 200 products are likely to be affected soon. Learn how to check the import tax from China to USA and customs duty rates and of specific goods in the following sections. The import duties from China to USA are calculated based on the customs value of your goods multiplied by the customs duty rate. The customs value of your goods can be found on the commercial invoice. Customs value is the total amount of all items in your shipment. For instance, you bought 20 pairs of shoes each valued at $50, then the customs value of your shipment is $1,000. When applicable, customs value includes tooling, samples, and other fees paid to the manufacturer. In the United States, the customs value of imports is usually based on Free on Board Incoterm, which means the importer has to shoulder all costs and risks of loss of or damage to the goods as soon as they arrive at the port of shipment. Importers have to classify products before arrival and settle the US import tax from China at the U.S. border. Customs authorities have the sole discretion to determine what the accurate customs duty rate as well as the US import tax from China. But there is a way to get a ballpark figure of the customs duty rate and US import tax from China that your products may be subject to through the Harmonized Tariff Schedule (HTS) Search. The HTS provides duty rates for practically all items that exist. Note that not all imports have equal customs duty rates and US import tax from China; some are taxed more than others, especially agricultural and food products. Again, a customs broker can help you with this. Your import tax from China to USA will be based on customs duty rate. To check the customs duty rate and import tax from China to USA, ask your supplier for the HS code (Harmonized Commodity Description and Coding System) of a specific product and look it up on the HTS Search website. If for some reason you cannot obtain the HS code from your supplier, you can try to find it on HSCode.org using the product keyword. Once you get the HS code of your product, copy it and look it up on HTS.USITC.gov to get the right customs duty rate. If you want to wrap your head around how the HTS Search works, you can refer to this external guide from the U.S. International Trade Commission. While the United States does not impose a value-added tax (VAT), it has a Federal Excise Tax on imports like alcohol and tobacco. However, the Federal Excise Tax is not applicable to consumer products imported from China. Apart from the import duties from China to USA, your imports are also subject to a variety of user fees and US import tax from China from the time they landed at the port of entry until they arrive at your door. So what are these user fees? The Customs Clearance Fee covers the customs clearance process and the submission of Customs Entry documentation to CBP. The Customs Clearance in the United States costs around $120. If you have appointed a customs broker, the Customs Clearance Fee is sometimes included in the customs broker’s service fee. The Import Security Filing Fee covers the lodging in accordance with CBP’s ‘10+2’ advance cargo reporting requirements. It is often included in the Customs Clearance Fee. The ISF Fee applies to ocean freight only. Both informal and formal entries are subject to a Merchandising Processing Fee, which is paid at the time of presenting the entry summary. Since October 1, 2018, there have been changes to the MPF for both informal and formal entries. The MPF for informal entries is now a fixed fee of $2.10 The MPF for formal entries is an ad valorem fee of 0.3464 percent. The fee depends on the value of imported goods, excluding duty, freight, and insurance charges. The MPF minimum for formal entries has been adjusted to $26.22 from $25.67 on January 1, 2018, while the MPF maximum for formal entries has been adjusted to $508.70 from $497.99. For example, if .3464 percent of the amount of your merchandise is greater than $508.70, you are only required to pay the maximum amount of $508.70. The Harbor Maintenance Fee applies to all imports (whether dutiable or duty-free) as well as domestic shipments, Foreign-Trade Zone admissions, and passengers. It is assessed based on the shipment value transported via ocean through ports under the jurisdiction of CBP. Therefore, it is not collected on shipments imported or transported via air. If the shipment passes through Canada before arriving in the U.S., it will not be subject to the HMF. The HMF is 0.125 percent (0.00125) of the cargo value declared on the commercial invoice, without maximum or minimum. Applicable HMF reflects on an invoice as a customs fee. Apart from the customs fees, US import tax from China, and import duties from China to USA, importing between these nations entail some more fees, depending on how you go about with your import process. Depending on your arrangement with an exporter in China, you might be paying for the transportation of goods from China to the United States. Like any other imports, products from China are subject to inspection when crossing the U.S. borders. In some instances, depending on the products, these inspections may cost you. Warehouse and port fees might also be passed on to you as the importer. If you decide not to do it all alone and you want to hire a customs broker in the United States and/or a customs agent in China, you will have to pay for their service as well. Getting a customs broker is highly recommended, especially if you are new to this business. The importer has six months to clear customs for the goods before they will set them for auction. If you have been in this business for quite some time, you might have heard of the advice to lower the declared product value to save you on US import tax from China and perhaps increase your bottom line. While it works for some, it is not recommended to do so. Why? Because the consequence is bigger than the risk you are going to take. When doing business in China, you are assuming that import tax from China to USA is the same as the taxes imposed by the Chinese government. Relying on freight forwarders and fulfillment providers for the calculation on your import duties from China to USA. Do your own calculation, too. Failing to update yourself regarding US import tax from China news. Remember, China and the United States are in a trade war right. Import duties from China to USA have been changing quite a lot recently. Misdeclaring or undervaluing goods just to save on US import tax from China. Not doing research on which products are regulated by federal agencies. Most of them are subject to additional tax or have different import duties from China to USA. Getting tariff codes wrong. This can cause a delay in the release of your goods, unexpected costs, and returned shipments. Not calculating the total landed cost. Make sure to count all expenses and taxes before purchasing your order, including import duties from China to USA, value of your goods, shipping costs, insurance, and import tax from China to USA, among others. Not getting a customs broker. Customs brokers are the experts in this field, so they sure know what they are doing. They can help you with your arrange your paperwork and calculate properly your import duties from China to USA, which is so important. Before finally closing out this article, we have a few friendly reminders to keep when doing your transactions. Make sure to properly declare your goods with CBP to avoid messing up with customs authorities later down the road. You import tax from China to USA will surely go along way. As soon as you receive any documentation to work out, act on them promptly if possible to avoid late filing and fines or settle your import tax from China to USA immediately. Pay the right US import tax from China to avoid getting penalized. Lastly, do not do it all by yourself. Seek help from customs brokers and agents to make the entire process a lot easier. If you have more questions related to import tax from China to USA or anything that is not answered here, leave them in the comments below so we can get back to you immediately.